disulfide bonds due to natural wear and tear or natural aging. 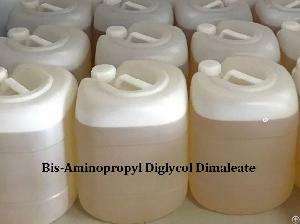 Shenzhen�BST�Science & Technology Co., Ltd is a nail care ingredient bis-aminopropyl diglycol dimaleate manufacturer. 1kg test sample, plastic bottle+carton, 25kg packing, plastic drum+ carton.